Over the past six months, two fairly prominent stories about former professional athletes emerged. In November, the Washington Post ran a story about Schuye LaRue, the standout basketball player whose unsuccessful fight with mental illness led to the end of her career and left her homeless in the nation’s capital. In the same month Iylana Vanzant ran a piece on her show, Iylana: Fix My Life, about Debi Thomas, the first African American to win a medal at the Winter Olympic Games. The story describes how Thomas went from one of the world’s top athletes to an orthopedic surgeon to living completely, financially destitute. These ladies are living proof that while stories about the struggles of retired female athletes are few and far between in the media, female athletes have the same (if not more difficult) struggles than male athletes have when transitioning into retirement. While mulling over the problems that female athletes face when retiring, I had the pleasure of being introduced to Rushia Brown. 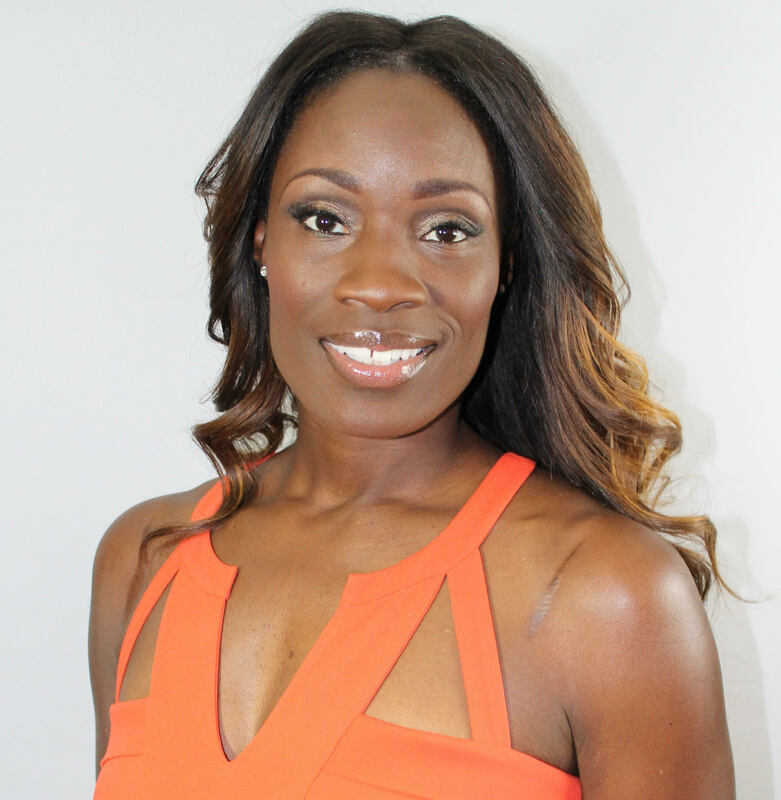 Rushia (pronounced Roo-sha) is a former professional basketball player who mulled over the problems that female basketball players have when transitioning to life after basketball and decided to do something about it. Following a successful career in both the WNBA and in leagues in Europe, Rushia dedicated her life to helping her former colleagues find success and fulfillment when playing basketball is no longer an option. What she’s done in her life to help herself and others is nothing short of amazing. Her life is a true testament to the adage that it’s never too late to start. She is the epitome of what can happen when you decide to turn tragedy into triumph and how being open to new things can place you on a trajectory that has the power to affect the lives of many. Take a look at how this GladiatHer™ is helping to improve the lives of other GladiatHers™. Many people know about your successful career as a basketball player, 7 years in the WNBA and 10 years in Europe, but many don’t know that you didn’t pick up basketball until your sophomore year in high school. How was it to have to play catch-up to girls playing since elementary school? It was a very interesting story because I was so far behind the girls who I was playing with. But once I started playing, I absolutely fell in love with the game and I would practice more than everyone else. I would come in early in the mornings and work out with my coach, I would practice with the team and then when practice was over, I would stay late and practice some more. To give some background on that, I started playing because my father passed away. I slipped into a mini-depression, so my family was trying to give me something positive to do. Once I started playing, basketball became the thing that I held on to. I was a way to connect to him. When he was here, we shared sports. I would watch sports with him all the time. So the harder I would work, the closer I felt to him. That’s where my passion came from to work in overtime. Well I know he’s very pleased with what you have been able to do using him and basketball as an inspiration. Despite being a standout high school athlete and being recruited by schools like North Carolina and Duke, you opted to stay local and attend Furman. How did you make that decision and what was it like to be such a highly recruited player at a smaller program? You know, my sole purpose once I really started playing was to get a scholarship to go to college because I knew my mom wouldn’t be able to afford it. When I started getting recruited by all these incredible universities and taking those visits, I absolutely envisioned myself at one of these bigger schools. But when it came time for the decision, the grandness of those programs became tertiary. I was very close to my family and we had just experienced a great loss, and I still wasn’t over it. I wanted to stay close to home, so I opted to stay at a school in South Carolina. Furman was three hours from Summerville, but my mom moved to Columbia, which put her only an hour and a half away. I truly believe that that was the right decision. I absolutely feel like I got a great education, which is what it was about in the first place for me, and was able to stay close to family. At the time, playing professional basketball wasn’t realistic to me, and Furman is great academically. So it just made sense. So you finished your degree at Furman and you were one of the top players in the country, but basketball wasn’t in the plans. How did you end up deciding to play professionally? Well, now I have to tell my age. When I graduated in 1994, the WNBA did not exist yet. An agent contacted me based on my collegiate career and wanted to help me play in Europe. So I thought, well that could be interesting. Even though I was plotting out my life to take a more traditional path, I didn’t see anything wrong with exploring this new opportunity. So I did it. I went over and played for three years. I had great seasons, so when the WNBA started I was already playing professionally and that led to me make the transition to tryout for the WNBA. The rest is history. I love how your path has been so non-traditional. After retirement you founded the Women’s Professional Basketball Alumnae Association. Can you tell our readers about the WPBA, how and why it got started and what it does? The WPBA came about as a result of me playing in a celebrity basketball tournament down in Houston with some of the WNBA greats like Kym Hampton, Teresa Witherspoon, and Lynette Woodard. One of the young girls who had come to play had a couple of All-Star appearances and was a world-class athlete, but as we all sat around and talked we learned that she was homeless. I just couldn’t understand how that could happen. I mean I recognized that I had a great support system that not everyone had, but as I listened to her story I was completely baffled with how no one would help or do something. So I started paying attention and I realized that a lot of women were actually struggling to make the transition from playing professionally. I felt compelled to help. So I spoke to a few people and tried to get something started to help us transition from playing professional basketball. I tried working with the WNBA and the NBA, and while it didn’t pan out with them, Charles Smith, who was the executive director of the NBA Retired Players Association, mentored me about how he was running the organization. With his willingness to share his knowledge, I started WPBA to do what others weren’t willing to do. The focus of the WPBA is to provide resources to women as they transition from professional basketball to careers of their choosing. We focus on job placement/secondary career, higher education, philanthropic endeavors and the psychological piece that comes from trying to figure out who you are without the ball. We really push our ladies to give back to their communities and to mentor and help the younger athletes who come after them. The young athletes have so much more to contend with than we did, so it’s really important that our retired athletes take the time to show the younger athletes how to be successful. How challenging has it been? I love it but it definitely has not been easy. Lots of people know that the assistance and programming is needed, but not everyone is willing to put in the work. It’s been difficult to get people on board, but over the last couple of years we’ve made incredible strides with helping more ladies. One of the biggest ways we’ve made strides is in getting the message out to the ladies that they aren’t alone and that it’s ok to get help with making the transition. As high achieving athletes, we are conditioned to be results oriented. If you go shoot 500 free throws after practice, your shot percentage is going to go up. Outside of sports it isn’t always like that. Just because you’re smart or talented or say you really want a job, doesn’t mean that someone is going to give it to you. So we’ve been helping these ladies figure out how to ask for help, how to network and leverage their history to be successful. That really is wonderful. For women in college and playing professionally now, what advice would you offer them to prepare themselves to be successful after they finish playing sports? I always encourage women to figure out what it is that they like to do. I am a strong advocate for walking in your passion. So if you’re doing what you love, you’ll never work a day in your life. But in order to get there, you have to be honest with yourself and be willing to pursue your true passion not something that others want or expect you to do. My message is to figure out your passion early, so even while you’re still playing you can start massaging those desires. You can build relationships in those areas while your name has some public relevance and learn early how to use your experience as an athlete to make you a more appealing candidate in whatever field you want to be involved in. Start the transition before it’s time to transition. What differences do you see between the transition from player to retiree for female basketball players and male basketball players? For starters, the money. You have a lot more wiggle room when you’ve made a $100 million as opposed to a couple of hundred thousand dollars. Second, is the amount of publicity that goes along with male sports. Anyone would love to have a guy who played in the NBA or NFL come speak to or be a part of their organization. But we don’t get as much media recognition, so people don’t know who we are and even what we do. I’ve been in places and people have said, “So what’s the WNBA again?” So female athletes have to work harder and start sooner when making the transition. What you’re doing with WPBA is truly life altering. Before you go, in keeping with our tradition, I have to ask you: who is your favorite GladiatHer™ or what GladiatHer™ has had the greatest impact on your life and why? I hate to be cliché, but it’s my Mom. Before my Dad passed and definitely after, she worked and took care of my brother and I. We had family that she helped out too. She taught me so much. She taught me how to be strong but also vulnerable. She’s been my biggest critic but also my biggest support system. She’s my mirror to show me when I’m right and when I’m wrong. I love her and can’t stand her all in the same time. She’s really taught me what a woman needs to be to her children and her family. She’s been really incredible. She’s my GladiatHer™. I truly appreciate Rushia Brown’s willingness to chat with GladiatHers.com. Her life and work are a true inspiration. If I had to take away some things from Rushia’s story it would be these: When life brings tragedy, use it to your advantage. Never be afraid to work harder than everyone else and to try new things. Lastly, when you see a void, fill it; women’s sports and the world will only get better when people take action. To keep up with the wonderful things that Rushia and the WPBA are doing, check out her websites, RushiaBrown.com and WPBAlum.com. And make sure you follow her on Twitter and Instagram.